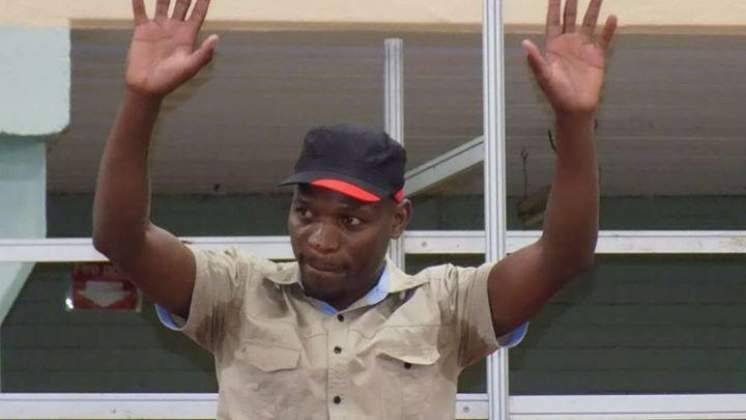 MDC Youth President Happymore Chidziva has called upon state agents to stop spreading information that portray the Youth Assembly as a violent movement. In a statement released on Tuesday the firebrand youth leader said, "State agents operatives and their stooges today stooped so low by reaching another new low in their quest to portray MDC Alliance Youth Assembly as violent. "In an article that is circulating on social platforms, purportedly to be from Kukurigo Updates it is abundantly clear that the state is now in panic mode hence their side whims to divert people's attention on rising prices by negatively presenting our party as violent." "As the leader of the MDC Youth Assembly, let me make it clear that our party was formed anchored on social democracy principles and as such we believe in active non violent forms of resistance. "To that end, we shall continue to reclaim our stolen election victory through non violent means. "As the young people of Zimbabwe, we will peacefully exhaust all the means at our disposal to reclaim our stolen future and that of generations to come. It is our duty as a generation to ensure that that we end ZANU PF s economic genocide and as such no blatant lies and name soiling can stop us from fulfilling our generational mandate." Recently former MDC member Gabriel Chaibva alleged that MDC Youths are highly trained and armed. He was giving a witness before the Kgalema Motlanthe led Commission of inquiry into the 1 August killings.